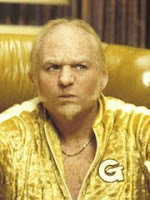 that's what Goldmember says. and that's what i say too! haha, i actually don't care for that Austin Powers movie all that much, Mike Myers sunk pretty low with that one haha. but honestly, i have a soft spot in my heart for golds. i would never wear gold jewelry, haha i think it's soooo ghetto, but on ma fingaaas?? grrrrl please! hand ova the bling! 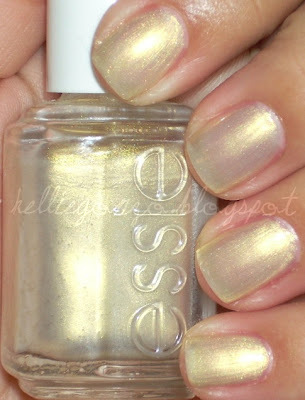 this polish is the amaaazing! 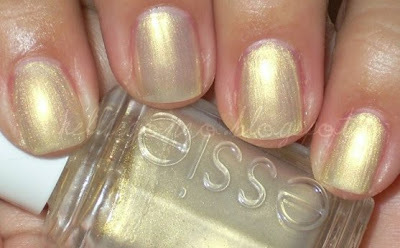 essie amalfi is a white gold frost polish (discontinued) that shine shine shines. a bit sheer, this is three coats and i still have VNL but i don't mind. also, little to no brush strokes = a win!